If you’ve ever been to a Showbiz Christchurch performance and been blown away by the on-stage performance, you’re seeing just a small fraction of the local talent that culminates in an end product of this calibre. The 80-year-old community theatrical society stages three productions each year. The Saunders & Co 2018 season commences at the Isaac Theatre Royal with Wicked from 6-21 April; followed by Broadway Hitmen, a concert of Cole Porter and Andrew Lloyd Webber hits, from 13-15 July; and is completed by Les Misérables opening on 14 September. Up to 100 people can be involved behind the scenes in just one show, volunteers who put hundreds of unpaid hours into their roles. 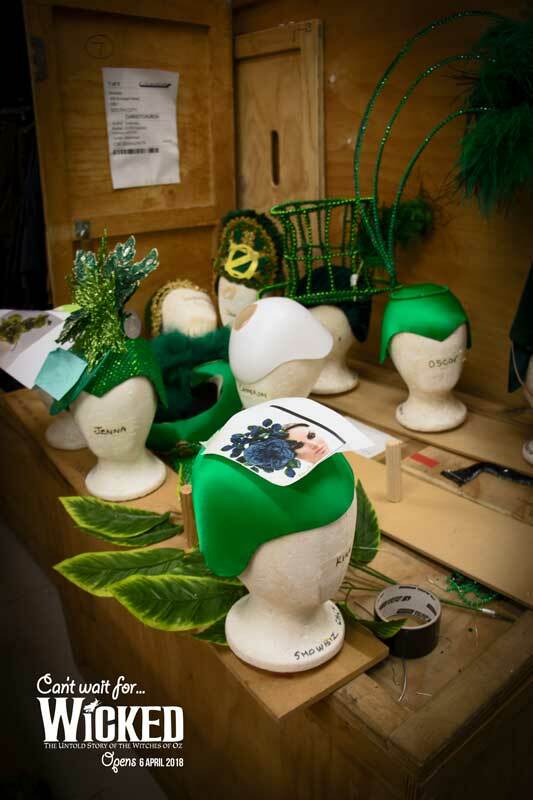 In Wicked’s on stage performance, you will see two leads (played by four actors on alternate nights), six principal roles, 16 ensemble cast and 15 dancers, with 16 backing vocalists and 18 orchestral performers in the pit. Backstage however, 100 equally important parts make it all come together. 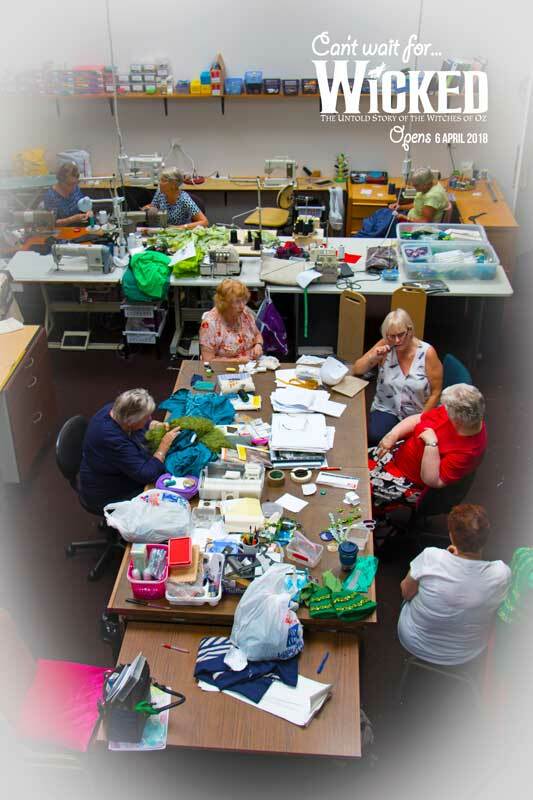 Vicki Morris-Williamson has been volunteering for Showbiz Christchurch for 19 years and is part of a team responsible for ensuring hats and costumes are made show ready and fit the brief of Director Stephen Robertson. 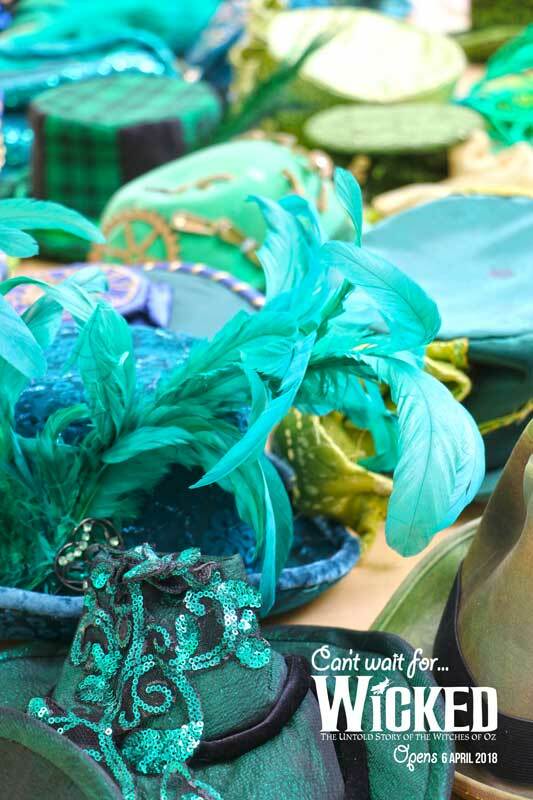 Successful Broadway shows like Wicked, complete national and international tours before the rights to stage them are given to community theatre groups. 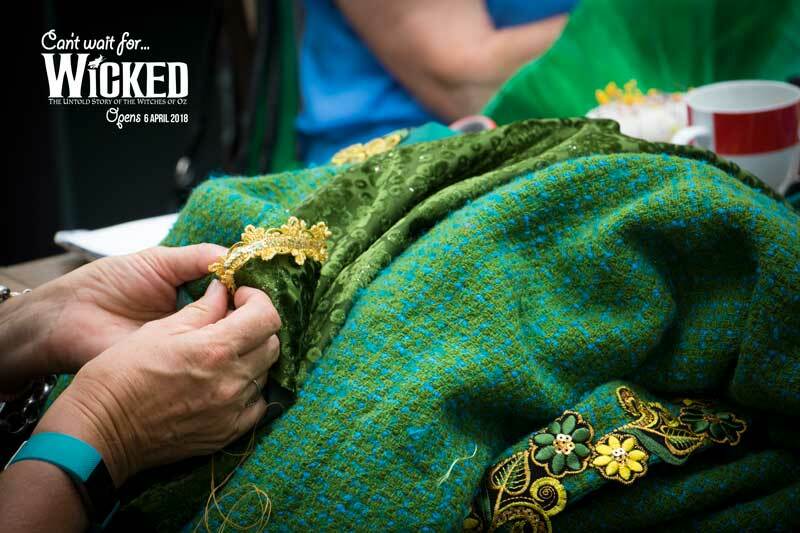 Showbiz Christchurch is the first in New Zealand to get these rights to stage Wicked. “The Showbiz Christchurch performance is a whole new production,” Vicki says. 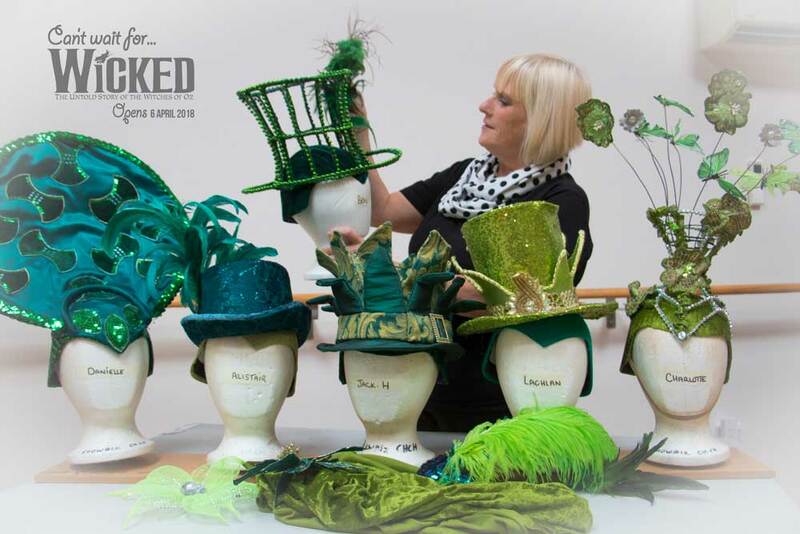 Vicki is currently living in a sea of green, as she works diligently to overhaul hats that came from an international production and create new ones, for the Emerald City townsfolk in Wicked. Just about every member of the cast is on stage for this scene and every costume has a hat. That’s 35 hats, each representing Vicki’s work to realise Stephen’s vision for it. 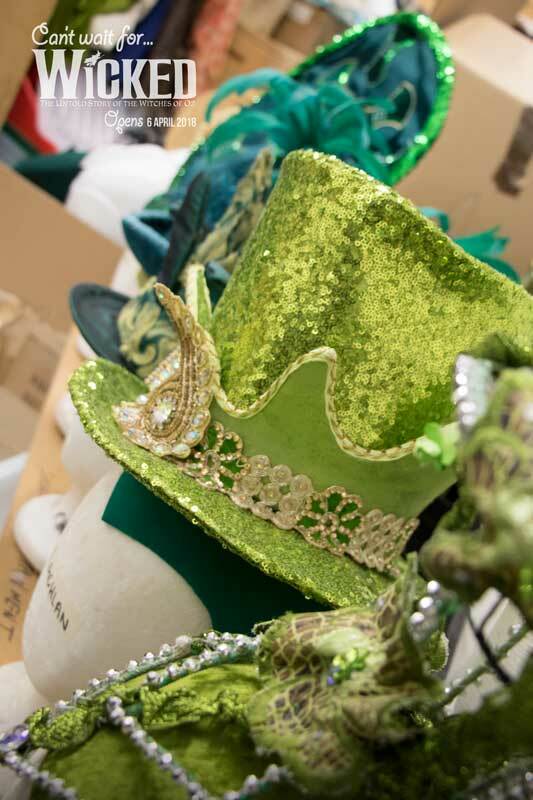 Vicki wears many hats herself in the months that go into each performance. 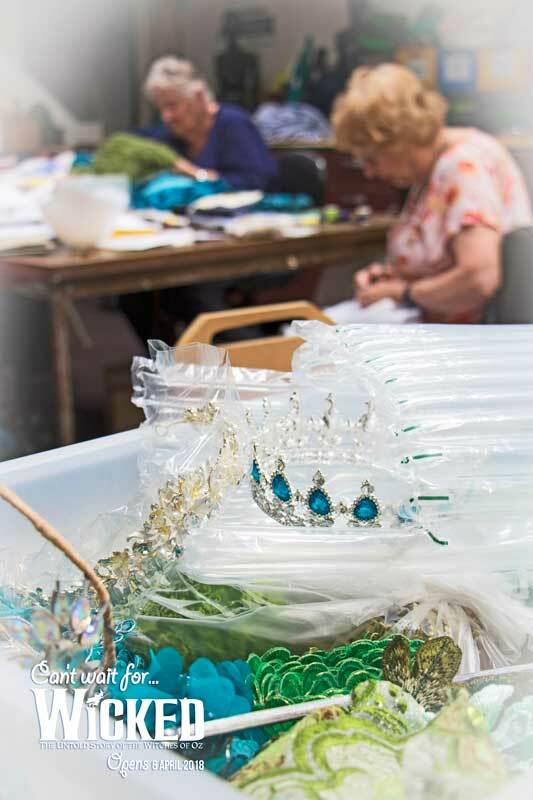 She is involved in costuming, pre-setting (planning set positioning), pack in (putting props up in the theatre), then the in-theatre rehearsals, before the run of shows. “I warn my hubby heading into show season, that he won’t see me for three months,” she laughs. But working around a full-time job, it’s not an exaggeration. It’s a family affair for her though. Vicki’s son James (then 12) joined her in her first production, in Joseph and the Amazing Technicolor Dreamcoat. Her daughter Jenna – a professional dancer from the New Zealand School of Dance – made her Showbiz Christchurch debut at 19 and will be performing in Wicked when it starts in April. 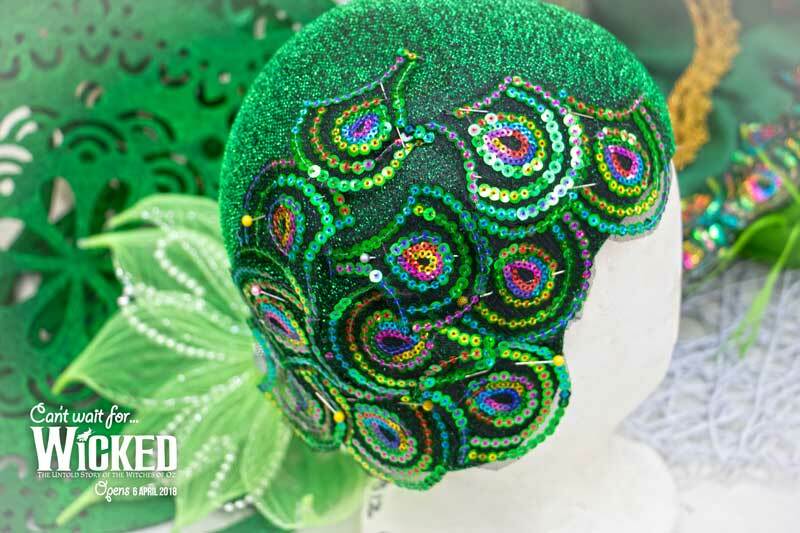 The Saunders & Co Season of the Showbiz Christchurch production of Wicked – The Untold Story of the Witches of Oz is at the Isaac Theatre Royal from 6-21 April 2018. Tickets from Ticketek.